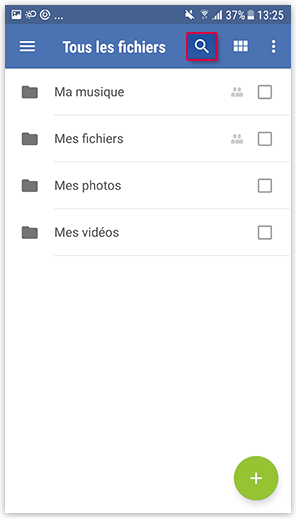 You can search your GMX File Storage App for Android to access files and folders quickly. In the menu bar, tap the search symbol. When you enter a search term in the search bar and tap the search symbol, the results are displayed in a list. You can end the search by tapping the end symbol on the right next to the search bar. In the list, you can select files and folders as usual by checking the box next to the file name. Then you can perform the usual actions like moving, copying or deleting files.